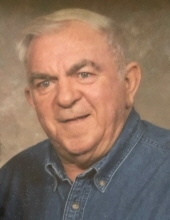 Of Grafton, died peacefully at home surrounded by his family on Monday, February 4, 2019 at the age of 78. Robert was born in Medford, WI on September 1, 1940 the son of the late Robert F. and Irene D. (Nee Goodrich). Robert was united in marriage on March 24, 1973 to Nancy (Nee Volz) and they were blessed with two sons. Robert served in the United States Army. He worked for A.O. Smith for 24 years and then drove over the road for 17 years. Robert enjoyed bowling, golfing, playing many card games and Yahtzee. Robert is survived by his wife Nancy; Sons: Scott and Steven (fiancée Krista); grandchildren Zachary, Samantha and Carson; his sister Dorothy Jensen; nieces, nephews, other relatives and friends. A funeral service will be held on Saturday, February 9, 2019 – 1:00 PM at Mueller Funeral Home & Crematory 979 N. Green Bay Rd. Grafton. Brenda Cline from St. Joseph’s Parish officiating. Visitation will be held on Saturday from 11:00 AM – 12:45 PM. To send flowers or a remembrance gift to the family of Robert C. Wheelock, please visit our Tribute Store. "Email Address" would like to share the life celebration of Robert C. Wheelock. Click on the "link" to go to share a favorite memory or leave a condolence message for the family.